Last.FM is an intelligent Internet Radio station that streams millions of tunes, tailored to your tastes, direct to your PC for free. But what if you want those tunes piped through your expensive home HiFi instead? Simple: get one of these 5 glorious gadgets that stream Last.FM to your stereo, and the perfect radio station can be unleashed on your perfect home Hi-Fi setup. Last.FM is an intelligent radio station that tailors itself to your musical tastes by examnining your mp3 collection. Using the oddly named system of ‘scrobbling’, every track you play though a supported media player (such as Windows Media Player) is logged and sent to Last.FM to build up a picture of what you like. Then you select your ‘channel’ and you’ll hear a stream of tracks that you have scrobbled, plus new ones the system thinks you will like. If you don’t like one, you can tell it so and it’ll further tailor your taste. You can also select the easier way of putting in an artist’s name and the system will stream tracks it thinks relate to that artist. For example, put in Depeche Mode and you may also get Yazoo and Nine Inch Nails in the stream. All very clever and all very free for the basic package, and there is a £3 per month premium package with extra features for those wanting more customisation and additional use with media streamers. In addition, there are thousands of “radio stations” based on a particular artist that feature tunes that are similar in style and genre to that artist’s music. Again you can tell the system which particular tunes you love, helping it to build up an even more complete picture of the tunes you like. The end result is a continual stream of tunes that focus more and more on your musical tastes, and all without having to do any kind of searching yourself. The more the system knows what you like, the more it can pick the tunes for you, until you get an Internet Radio that’s absolutely perfect just for you. All this is great when you’re at your PC or using Last.FM through a phone app (yep, you can do that too! ), but let’s face it: good music deserves a proper sound system. So how can you get Last.FM into the living room? With the following five devices, each of which will hook straight into your stereo or home cinema system, so your bass can kick and your guitars can rip! Like a space age lunchbox, Revo’s top of the line Revo Axis is a radio for the 21st century. 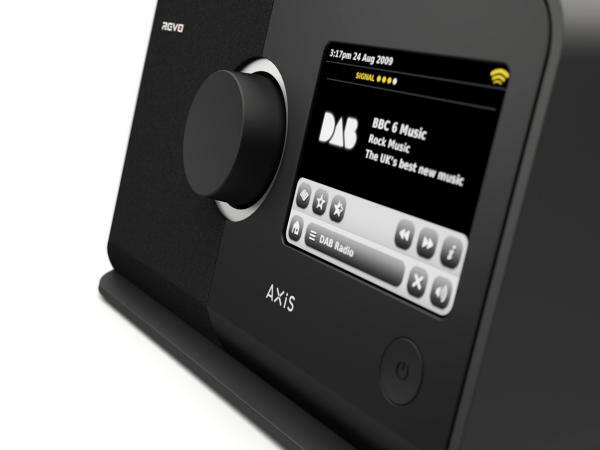 Part DAB radio, part iPod dock and part touchscreen media centre, the AXiS is certainly a one stop shop for all your digital audio needs. The AXiS boasts a touchscreen interface controlling the internet radio, the DAB radio and for the old school it also has FM radio too. It has wireless media streaming from a Mac or PC (including artwork) and hooks into Last.FM, allowing you to choose an artist or band and the AXiS will stream a unique station tailored to the listener. It’s no sonic slouch on it’s own either, with NXT’s ‘Balanced Radiator’ speakers and a class D amp but you can still hook it up to a big system for an even bigger sound. Revo have been doing this sort of thing for years with great success, and come October 1st, when the AXiS is launched, they’re success is sure to continue. Best for: The music-loving gadget fiend who wants a cutting edge design and great sound, but without the price tag. 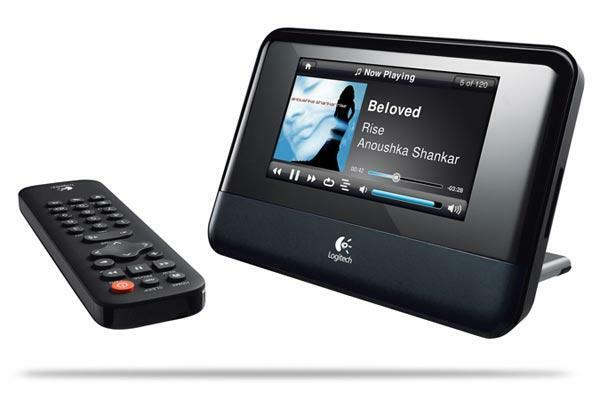 One of the original music streaming systems, Logitech’s Squeezebox has evolved into the touch generation with the release of its Logitech Squeezebox Touch. 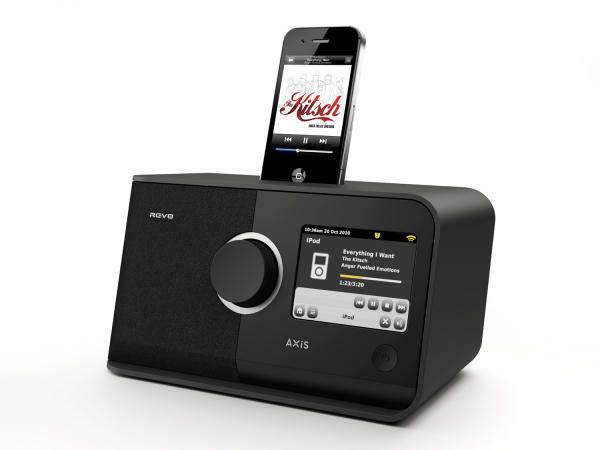 Unlike the AXiS above, the Touch is designed from the ground up to be connected to a larger system, as it has no speakers or amplification of its own. Looking like a very sleek digital photo frame, the Touch is, as the name suggests, a touchscreen device using Logitech’s dead simple Squeezebox interface. Taking more than a few cues from the original iPod interface, the Touch’s interface is simple and intuitive to operate and connects not only to your mp3 collection but to internet radios and the all important Last.FM. It’s very snappy and smooth to operate (although those with a large collection may experience some occasional jerky scrolling of titles) and the unit has a capacitive screen – far more elegant than a resistive solution. Of course, you can use the supplied remote too for use at a distance, and cleverly it puts the display into large text so you can read it from over on the sofa. The Touch also has a selection of outputs including digital optical, so if you are lucky enough to own a high end system, you can use its superior DAC instead of the Touch’s own. 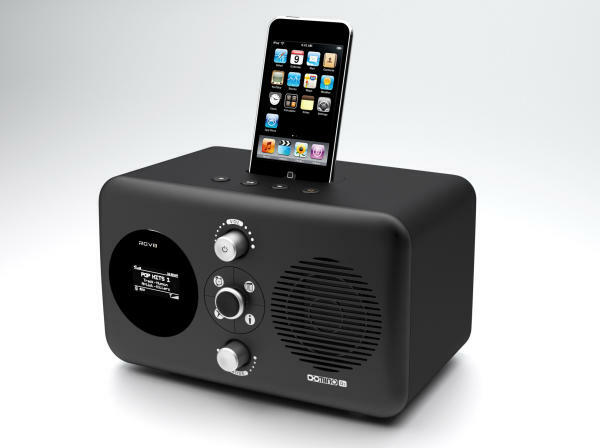 You will need a PC or Mac to stream music from using the proprietary SqueezeServer software but coming in at a shade under £250, the Squeezebox Touch is a keenly priced device that looks good and works great, and with Last.FM, it boasts a never ending supply of music. Like the Squeezebox Touch, the Sonos system is a wireless streaming system. However, unlike the Touch it doesn’t require a PC or Mac. The Sonos system is a high end audiophile product that can stream music to any room in your house and comes with a 15″ touchscreen server. You can also add powered or unpowered satellite devices to bring the music to other rooms, all controllable from the very cool CR200 capacitive touchscreen remote control. You can also control the system with an iPhone or an iPad, with each having their own separate app for full control and interactivity. Not only is the Sonos an extremely elegant audio solution but it also seamlessly integates Last.FM into your playback. It’s the same idea as the desktop versions – select an artist and it’ll find similar tracks. It also scrobbles your own music so over time it builds a picture of your tastes, so when you can pick what to listen to, let the Last.FM feature read your mind! As the remote has a full colour 640×480 display, you can also access Last.FM’s artists biographies and even if they are touring nearby. You can also see what others who share your taste in music are listening to, broadening your horizons. The Sonos package is a serious bit of kit but not only does it play back music superbly, it’s very impressive to use. From the large 15″ display of the main server to the lavish remote control, the Sonos system screams quality. Roberts seem to be making an art of putting cutting edge technology into classic boxes that look as at home blasting out Test Match Special as they do Interpol or LCD Soundsystem. 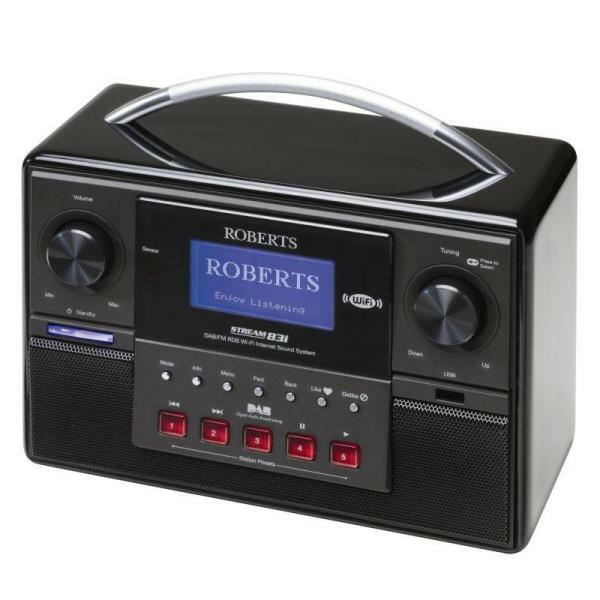 The Roberts Stream 83i though is their first device to incorporate Last.FM along with a wealth of internet radio stations and both DAB and FM radio. Stylistically a world away from its peers in this list, it nevertheless still puts out a good sound with its “bass woofer housed in an acoustically tuned cabinet” and it’s simple to operate with the raft of buttons on the front. Talking of the front, it’s also got a USB input for either an MP3 player (not an iPod) or a memory stick and it’ll happily play music from it. It’ll also pick up uPnP servers too (some other devices like the Squeezebox will only talk to their own servers) which is great to plug and play if you already have something like that set up at home. While the Stream 83i’s looks are not to everyone’s taste, it offers so many ways to stream music it simply can’t be ignored by anyone looking for a comprehensive playback unit. Best for: The go-anywhere music person who wants their tunes wherever they are from a gadget that looks great wherever it’s placed. Ok let’s say you love having Last.FM so much in the living room you want the same in the bedroom but don’t want to have to do the hooking up to a sound system bit. Well how about another box from the makers of the AXiS? The Revo Domino D3 is a neat little WiFi-enabled sound system with a natty OLED screen and the bonus of an inbuilt iPod dock, all in a deep black or cool white package. Best of all, it offers Last.FM in a portable format so your carefully scrobbled music that has taken so long to build up can sweetly send you to sleep (or violently wake you up if that is your want!). It is quite small so some may find the little screen difficult to navigate but once set up you just need your ears, and the Domino is generous to them with a good sound from a good source. Revo have designed another interesting device that certainly catches the eye and gives a wealth of sources in a neat little package. Did you know you can get Last.FM on the humble Xbox 360? From November 2009, Last.FM has been available to subscribers of the Xbox Live Gold service, and brings the full Last.FM experience to the big screen TV. Hooking into your Last.FM account, it’ll show you the last stations you listened to on any device including your own, and selecting any will start the stream just like on any other Last.FM client. The screen will then show images of the artist or band playing (which move and change to prevent screen burn), with the full biographies and links to other stations all present. It’s excellent at parties, really showing a multimedia experience – streamed from the net, displayed on a HDTV and played through a surround sound system. The new slim black 360’s themselves are much quieter and smaller than their older cream forebears, and re-engineered to prevent failure. Coupled with the inbuilt optical or HDMI outputs for digital sound direct to your amplifier,this really could be the time to get a sleek, black 360-shaped media hub for your living room. How will you listen to Last.FM? So there you go, some ways to bring the power of music and the power of the internet together, giving it the sound it deserves. With your collection fully scrobbled you can use Last.FM to bring you music anywhere and in great quality. With these devices you can explore its rich features to show you new music you may like or find out if the band you are listening to are touring. Or you can simply use these Last.FM gadgets to listen to great music and show off a bit when doing so. Never before have we had so many of sources of music and any of these devices will help you get the best sound possible from them. Go on, turn it up to 11!